The whole process of salvation is ascribed in the New Testament to the sacrificial death of Jesus Christ. It is upon the moment of death that the foundation of salvation is totally focused. The work of salvation was completed when Jesus cried, “It is finished!” Nothing more needed to be done. The sacrifice of Jesus Christ was a substitutionary sacrifice and atonement for sin. Christ died in the place of the believing sinner. Christ suffered for the believer’s punishment. Christ endured the divine wrath for all that His people ought to have suffered as a result of sin. “Who shall lay anything to the charge of God’s elect?” Not God because He has justified the believing sinner for the reason that Christ died in his place and suffered his punishment. My hope is built upon Jesus’ blood and righteousness alone. Jesus Christ saves us by vicariously enduring the penalty to which we were exposed. “Christ redeemed us from the curse of the law by becoming a curse for us” (Galatians 3:13). Moreover, in the process of redeeming us, He purchased us with His own blood and set us free. Man broke God’s law and came under the penalty of sin, which is death (Rom. 3:23). “The wages of sin is death . . .” (6:23). Man’s sin exposed him to divine punishment (Rom. 1:18; Isa. 53:6; Jer. 17:9; Psa. 14:3; Rom. 1:18-32; 5:10; 8:7; Col. 1:21). We all stand guilty before a holy God. However, God’s love makes the propitiating sacrifice (Rom. 5:6, 8). God did punish sin by making His Son a curse (Gal. 3:13; Rom. 3:25-26; 5:8). Christ, who was sinless, suffered vicariously for sinful men (2 Cor. 5:21). His resurrection proved that He was the sinless Son of God (Rom. 1:4). The resurrection of Jesus Christ proves that God accepted His vicarious substitutionary atonement on behalf of sinful man. What is very clear in both the Old and New Testaments is that God provided the sacrifice. The important truth taught in the Word of God is that sinful man does not do anything to obtain forgiveness. God took the initiative to save the sinner from beginning to end. God provided the only acceptable sacrifice for sin. The sacrifice was a work of God for man, not the other way around. When the life was given up, a death occurred (Lev. 17:11). The shedding of blood, the giving up of life symbolized a violent death. The central act in a sacrifice was the shedding of blood. “Without the shedding of blood there is no remission of sins” (Hebrews 9:22). The death of Jesus Christ on the cross provides atonement for the sinner. A vicarious expiation of sin by a victim whose life is forfeited instead of the sinner’s is the only one that will fulfill the idea in Levitical sacrifices. The life of the spotlessly pure animal was offered to a thrice Holy God in place of the sinful soul. The meaning is obvious that this self-sacrifice necessarily involves suffering and punishment, which is inflicted on the beast to which the guilt and sin are imputed, not imparted. The essential idea of bloody sacrifices was that the victim took the place of the sinful man, redeemed him, or atoned for him as a substitute. The Levitical system of sacrifices was the typological comparison of redemption by Jesus Christ. The Jewish sacrificial system was fulfilled in Jesus Christ being sacrificed as the Lamb of God “who takes away the sin of the world!" (John 1:29, NET). The sin offering became the ultimate sacrifice. It was the means by which a sinful people approached a holy God. The entire sacrifice was offered up to God by the shedding and sprinkling of blood (Lev. 7:11). The death of Jesus Christ is seen in the New Testament as the fulfillment of all that was prefigured by the Old Testament sacrificial system. The sacrifices were typical of the vastly superior sacrifice of Jesus. The animals could not take away sin. 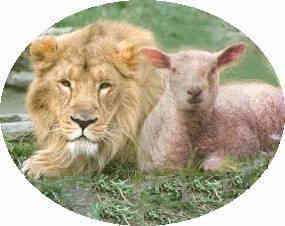 The self-sacrifice of Jesus is superior to the sacrifices of the old system as the new covenant is superior to the old. This is the focus of the book of Hebrews in the New Testament. The New Testament regards the Levitical sacrifices as divine in origin and obligatory, but imperfect and only a type of Christ’s sacrifice. The sacrifice of Jesus was the perfect sacrifice and supplanted the Old Testament sacrificial system. The one central idea of New Testament writers is that the sacrifice made by Christ on the cross is the final perfect sacrifice for the atonement of sin and the salvation of men. The sacrifice of Christ was typified in the various sacrifices of the Old Testament. Moreover, the one perfect final sacrifice of Christ abrogated all of these typical sacrifices. His death by crucifixion was an atoning sacrifice for sin (Rom. 3:25; 5:9; 1 Cor. 10:16; Eph. 1:7; 2:13; Col. 1:20). He is identified as the sin offering (Rom. 8:3; 2 Cor. 5:21), and the Passover Lamb (1 Cor. 5:7). Believers are redeemed by the blood of Jesus (1 Peter 1:18, 19; 1:2; 3:18), which is also propitiation and cleansing (1 John 1:7; 2:2; 5:5; Rev. 1:5). Jesus saw His own death as the confirmation of the new covenant (Ex. 24:3-8). He regarded His sufferings and death as the fulfillment of the Old Testament Scriptures. Jesus referred to His own death as sacrificial, comparing it especially with the covenant sacrifice (Matt. 26:27-28). Jesus said, “My blood of the new covenant, which is shed for many unto remission of sins” (Matthew 26:28). The apostle Paul wrote, "In the same way, he also took the cup after supper, saying, ‘This cup is the new covenant in my blood. Do this, every time you drink it, in remembrance of me’" (1 Corinthians 11:25). The old covenant and its sacrifices were fulfilled and done away with by the new covenant and its one perfect sacrifice for sin. “Christ died for our sins according to the Scriptures” (1 Cor. 15:3). The death of Jesus Christ was expiatory. It was a covering or our sins. It was looked upon as an atoning sacrifice and spoken of in sacrificial terms. The apostle Peter speaks of the death of Jesus in clear sacrificial terms in 1 Peter 1:2, 18, 19; 2:21-25; 3:18. The “sprinkling of the blood of Jesus Christ” . . . “you were . . . redeemed . . . with the precious blood of Christ, as of a lamb without blemish and without spot.” The emphasis in 1 Pet. 2:21-25 is clearly a vicarious suffering in the language of a sacrifice. The apostle Paul regarded the sacrifices of the Old Testament as types of the true sacrifice which Christ made and based his theology of salvation on the death of Jesus as a sacrifice. He uses the expression “blood of Christ” in the sense of a sacrificial death (Rom. 8:32; Gal. 2:20; Eph. 1:7; Col. 1:20). In Ephesians 5:2, he tells us Christ “gave Himself up for us, an offering and sacrifice to God for an odor of a sweet smell.” He tells us in 1 Corinthians 5:7, “Our Passover also has been sacrificed, even Christ.” The bloody sacrifice of Jesus Christ satisfied the justice of God and enabled Him to be just and justify the believing sinner who puts his trust in Christ (Rom. 3:25; 5:9; 1 Cor. 10:16; Eph. 2:13). For Paul the sacrificial blood of atonement saves sinners who believe on Christ (Rom. 3:24-26; 5:9; 1 Cor. 10:16; Eph. 1:7; 2:13; Col. 1:20; Rom. 8:3; 1 Cor. 5:21; 5:7; Rom. 5:10-11; 8:15, 17). The Epistle of the Hebrews tells us Christ “tasted death for every man” (Heb. 2:9). The sacrifice and the covenant of Jesus Christ are vastly superior to the Levitical rites and sacrifices of the old covenant. The shadows and types of the old covenant fall short of the eternal reality in which the new covenant is established in the blood of Christ. He offered a new and better covenant with a better high priest (Heb. 8:6-13; 9:1ff). Jesus was the high priest offering Himself up on His own altar, the cross of Calvary. He accomplished on the cross that which was typified in the Old Testament sacrifice made on the Day of Atonement. The sacrificial death of Jesus Christ is portrayed in the language of the Old Testament. He offered Himself up once-and-for-all, never to be repeated, sacrifice well pleasing to God the Father. Jesus yielded up His life in death (Lev. 17:11). The blood of Jesus Christ is the “blood of the covenant” (Heb. 9:20; Matt. 26:28). He is “the Lamb of God which takes away the sin of the world” (John 1:29), and “the Lamb as it had been slain” before the throne of God in Revelation (Rev. 5:6, 12). The saints in heaven are those who “washed their robes, and made them white in the blood of the Lamb” (Rev. 7:14). “They overcame him (Satan) by the blood of the Lamb” (Rev. 12:11). The importance of “blood” cannot be over stressed in the atoning sacrifice of Christ. The blood was of supreme importance in the Levitical system. Nothing in the Old Testament was cleansed without the use of blood (Heb. 9:22). On the Day of Atonement, the high priest entered the Holy of Holies bearing the sacrificial blood (Heb. 9:7). The culminating language of the sacrifice of Jesus Christ was accomplished when He entered into the heavenly temple “through His own blood” (Heb. 9:21ff) “to make propitiation for the sins of the people” (Heb. 2:17). That is not to say that Jesus repeated in heaven His once-for-all sacrifice on the cross. The atoning sacrifice of Jesus on the cross was equivalent to the sacrifice on the Day of Atonement. Westcott says the idea of cleansing for the whole process of putting away sin, from the atonement to sanctification. The death of Christ procured the cleansing (Heb. 1:3; 9:14, 22, 23; 10:2; 1 John 1:7; Rev. 7:14). The Jewish high priest was the type of Christ the great high priest under the new covenant. The sacrifices of the old covenant could not take away sin. They had no power to produce moral transformation in the heart of sinful depraved man. This is why the priest had to come daily offering up sacrifice after sacrifice. Even the sacrifice on the Day of Atonement had to be repeated year after year. However God in His grace provided another high priest who offered up Himself as the perfect sacrifice for sin which never again needed to be repeated. Both the priest and the sacrifice were holy and perfect. The heart of the teaching in the Epistle of Hebrews is that animal sacrifices in the Levitical system cannot possibly atone for sin because they are appointed by the LORD God only as a type or shadow of the one great sacrifice by Christ (Heb. 8:7; 10:1). The clear teaching in Hebrews is that the sacrifices of the Old Testament could not permanently take away sin (Heb. 10:3). Christ’s sacrifice is final, complete and perfect because it is related to the heavenly and eternal realm (Heb. 8:1f; 9:1, 24; 10:11). Christ entered into heaven itself with His sacrifice (Heb. 9:24) and obtained eternal salvation for us (Heb. 7:27; 9:12, 15; 10:10). "How much more will the blood of Christ, who through the eternal Spirit offered himself without blemish to God, purify our consciences from dead works to worship the living God" (Hebrews 9:14 NET). The sacrifice of Jesus was an offering of a pure and spotless life on our behalf and as our representative. "God made the one who did not know sin to be sin for us, so that in him we would become the righteousness of God" (2 Corinthians 5:21, NET). All of the Levitical sacrifices were perpetually repeated because they had no permanent efficacy (Heb. 9:6; 10:3f). However the sacrifice of Jesus Christ was made once for all, perfecting forever them that are sanctified (Heb. 7:27; 9:12, 25f, 28; 10:12, 14). Christ’s sacrifice cleansed His people’s conscience that they might serve the living God (Heb. 9:14; 10:22). Christ dealt with our sin efficaciously at its deepest seat instead of the limited efficacy of ceremonial sacrifices (Heb. 9:9; 10:3). The sacrifices of the Leviticus did not open a way of spiritual access to the holy presence of God (Heb. 9:8). However, they showed the way to God by the blood of Jesus which was a new and living way by which men could draw near to Him with spiritual assurance (Heb. 10:19f). Since God is just, the sinner who is standing in Christ can never be punished. However, if you and I die without a divine substitute, we must be punished. 1. The sacrificial death of Jesus Christ redeems or delivers the believer from the curse of sin (Mark 10:45; Matt. 20:28). Jesus paid the ransom price with His own blood (Rom. 3:24-25). The blood of Jesus has redeemed us and that redemption procures justification. “In whom we have our redemption through His blood, the forgiveness of our trespasses” (Ephesians 1:7). 2. The death of Jesus Christ makes reconciliation between the guilty sinner and a holy God. He restores us to a right relationship with God (Rom. 5:10; Eph. 2:13, 14, 18). The cross of Christ is the means of reconciliation (Heb. 8:12). God has forgiven the sinner who believes on Christ; therefore his relationship with God is restored. Because of the death of Jesus Christ it is possible for the believing sinner to have an intimate love relationship with God the Father. 3. The blood of Jesus Christ is the basis of God’s forgiveness (Matt. 26:28; Rom. 3:21-5:21). Forgiveness is based on the shed blood of Jesus (1 John 1:7-9). 4. The believer’s guilt is removed by the perfect sin offering of Jesus Christ (Heb. 2:15). 5. The believing sinner has a right relationship before God. He is acquitted or justified. We have been brought into a right standing before God by the death of Jesus (2 Cor. 5:21). 6. The blood of Jesus cleanses the sinner (1 John 1:7; Rev. 7:14; Heb. 1:3; 9:14, 22-23; 10:2).